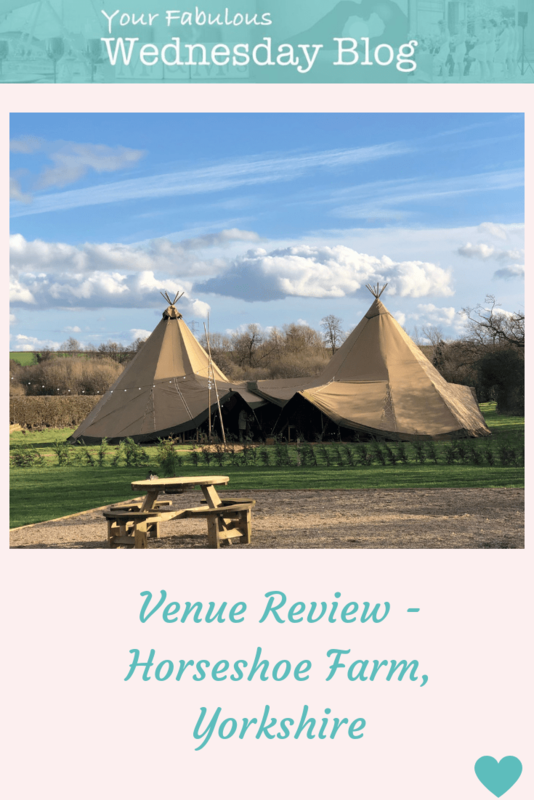 A few weeks ago, I went to the launch of Horseshoe Farm – a brand new outdoor wedding venue between York and Wetherby. 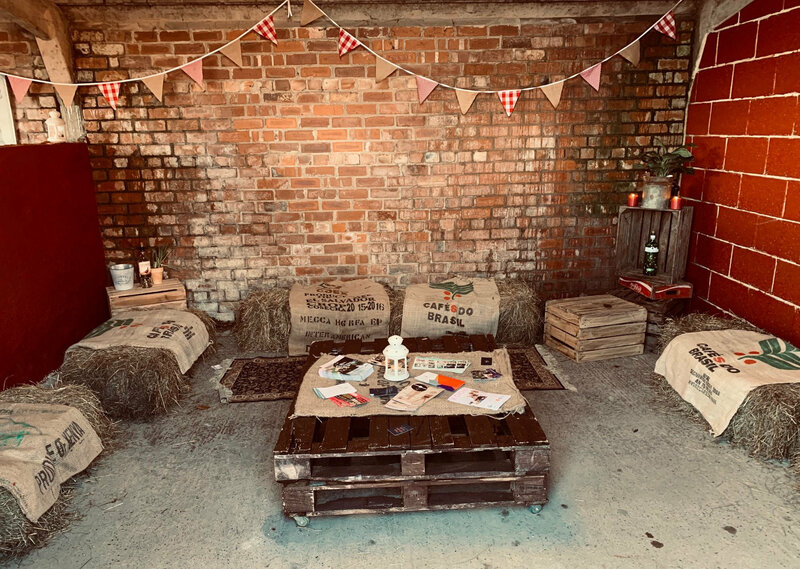 The venue is a converted farm where you bring in a marquee or tipi to create your own style of wedding. It’s in a lovely quiet setting but perfectly accessible – no bumpy farm track to navigate here. I was really impressed with the set up here and Laura and Scott, the owners, are super friendly and helpful. This is a 3 acre paddock which will house your marquee or tipi. It’s a really pretty field which makes a great setting for an outdoor wedding. 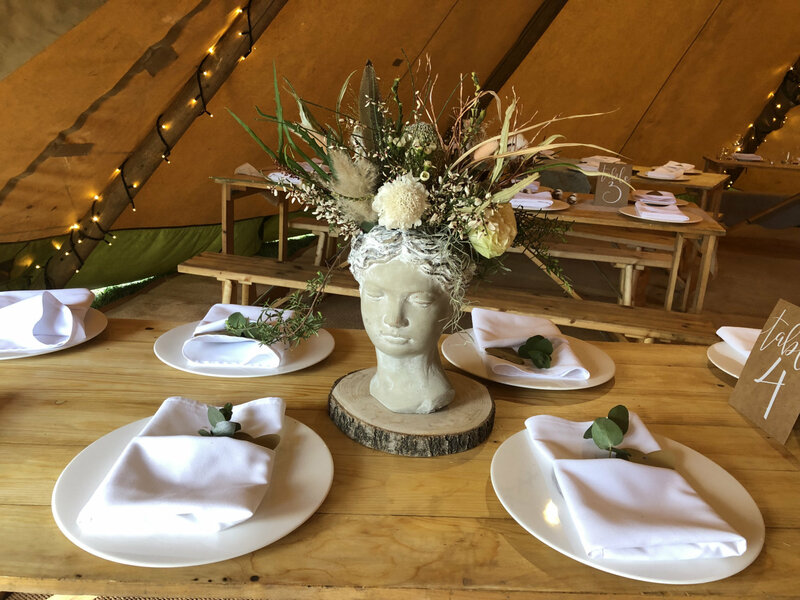 There’s also a further 6 acres of land where your guests can camp or you could set up a glamping village for a fantastic wedding weekend. You have exclusive access to the venue giving you freedom and flexibility. Within a pretty little courtyard, there is an outdoor seating area. 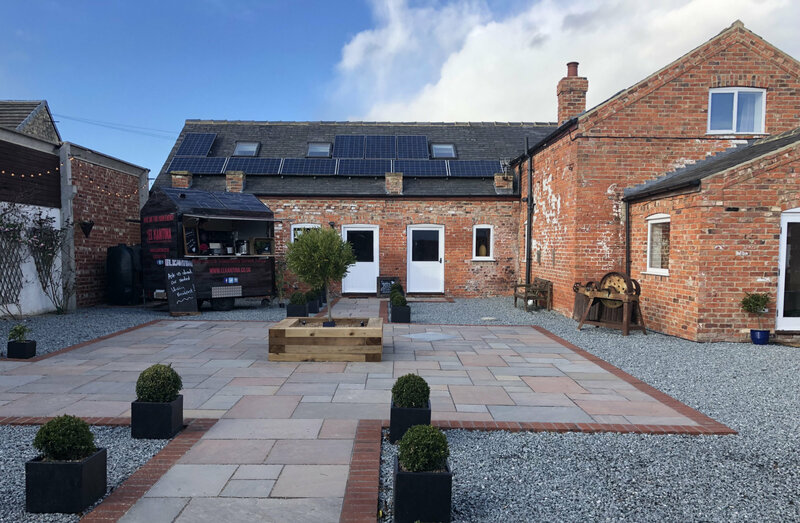 There’s also a converted stable which houses the Stable Bar and chill out area. 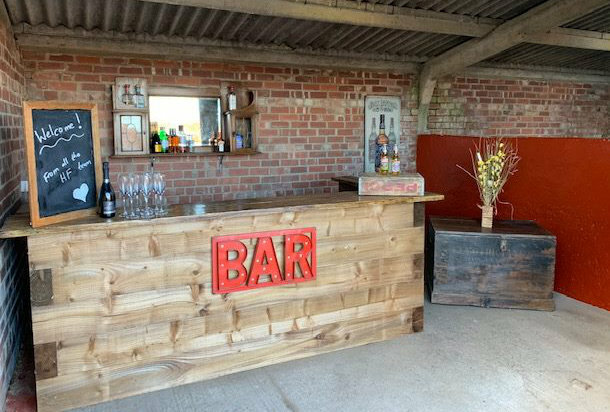 The bar is fully stocked and is run by Horseshoe Farm for you. There’s also a bridal parlour where you can get ready for your big day. In addition, there’s accommodation in the parlour for up to 4 people. There is on site parking for up to 30 cars. In keeping with it’s name, there are horseshoes hidden around the farm. Now horseshoes are considered to be good luck so finding them all will bring you mountains of good luck!! Great way to keep the little ones entertained for a while too. There are some great offers available for 2019 weddings so if you want to get married this year, it’s not too late to book! You can see more info on their website here. As this is a predominantly outdoor venue you will need to source and book the additional items you’ll need. So as well as the actual marquee or tipi, you’ll need toilets, a generator, furniture, caterers etc. I think this is a great choice of venue if you want an outdoor wedding but don’t have the land to do this at home. Organising a wedding like this is a lot easier with a planner on board and this is the type of wedding I love most! So give me a shout if you’re considering doing this and lets chat about how I can help you. I’d love to help you plan your dream wedding at this idyllic venue.